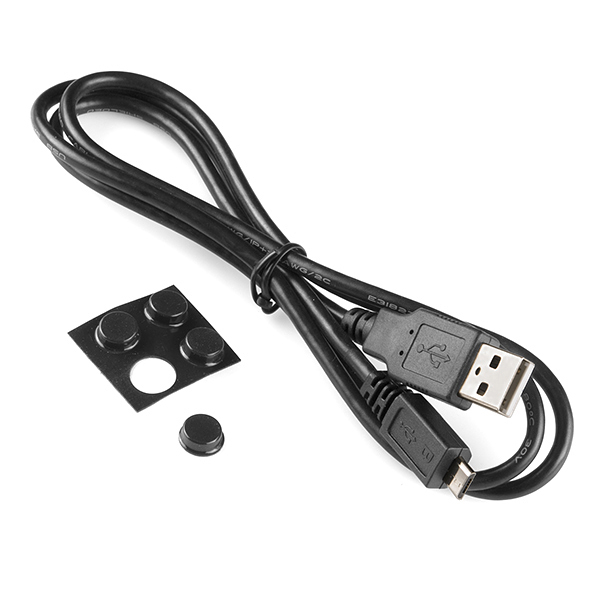 Are you a fan of the Netduino? Are you a .NET developer looking for a capable 32-bit development board? Well we've got good news! 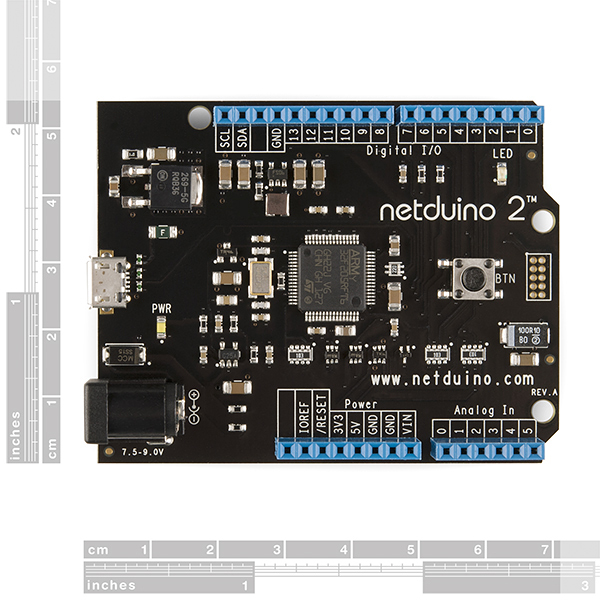 Secret Labs have updated their classic Netduino to create: Netduino 2! 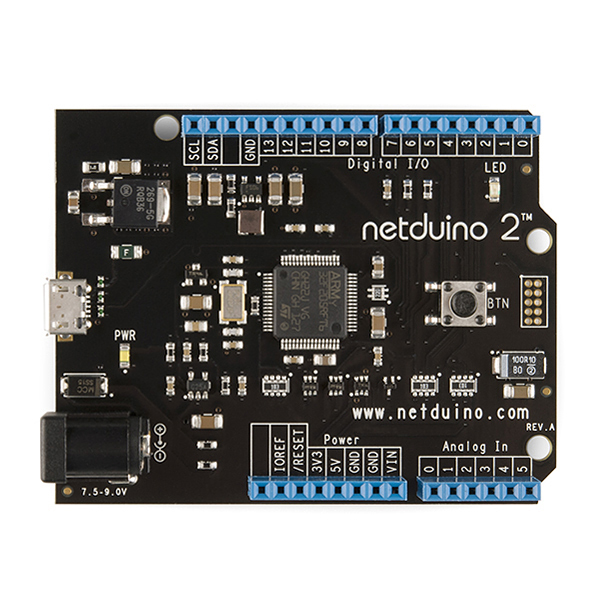 Netduino 2 is still the same Arduino shield compatible board you know and love, except faster with more code space. Powered by an STmicro Cortex-M3 microcontroller running at 120MHz, the Netduino 2 packs 192KB of code space and 60KB of RAM. 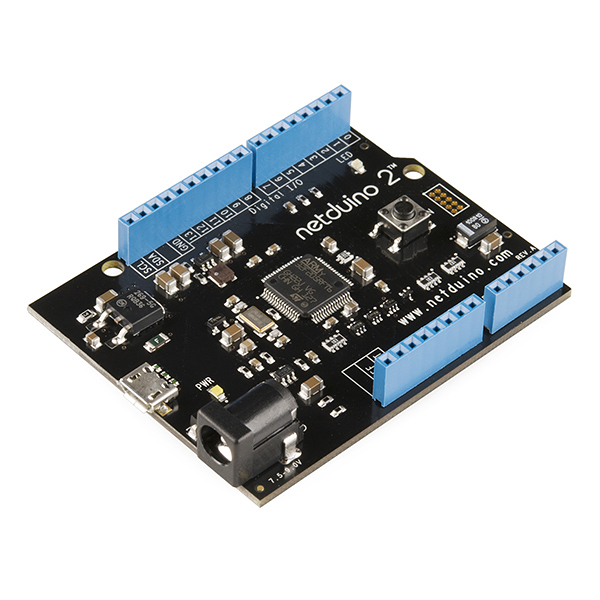 With built-in hardware peripherals like UART, PWM, I2C, 12-bit ADC and DAC, the Netduino 2 is ready to interface with whatever you throw at it. 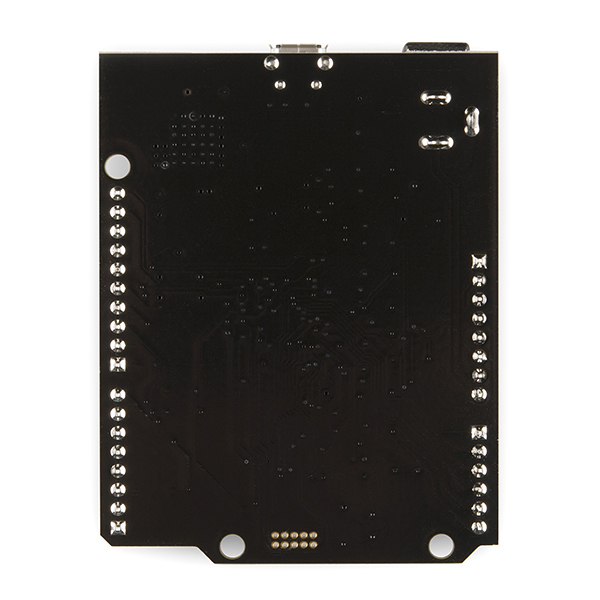 That includes Arduino R3-style shields, since Netduino 2 adds two GPIO over its predecessor. The reference manual and datasheet links are broken. Does the 60k ram mean I have a lot of program space, or variable space(like a 60k byte array)? We're getting those links fixed. Good catch! LOL, the link to the original Netduino just redirects back to this page. the box under the price shows the old one as the 'previous version'. you can find it that way. The description says "GPIO are 3.3V but 5V tolerant". Is that supposed to say "GPIO are 3.3V OR 5V tolerant"? No, the pins operate at 3.3V (output and input) but will accept up to 5V input. What are these used for over the common UNO? These have more memory and faster speed than the Uno, which can be a big necessity for some projects. Also, some users simply feel more comfortable using .Net for coding. Does that mean you can still use the Arduino 1.0 IDE to program this?